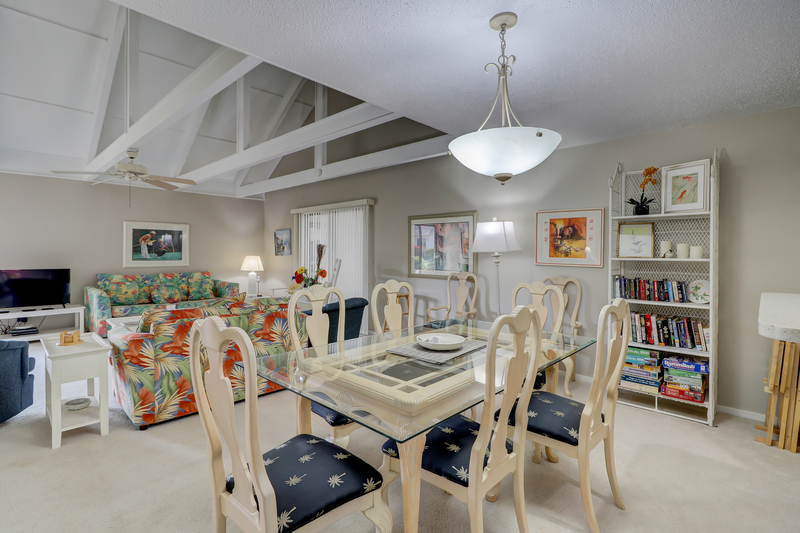 This first floor Queens Grant villa has a bright and open floor plan featuring vaulted ceilings in the living area. 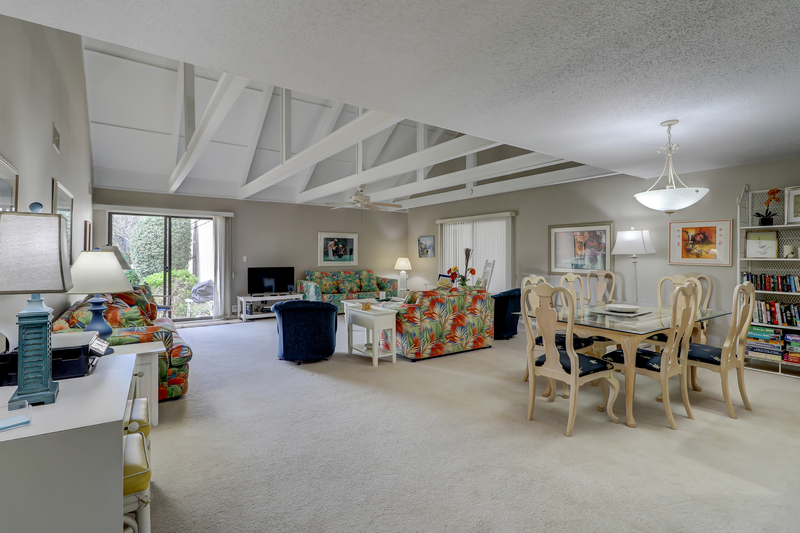 The living room features a 32" flat screen and lush ladnscape views. 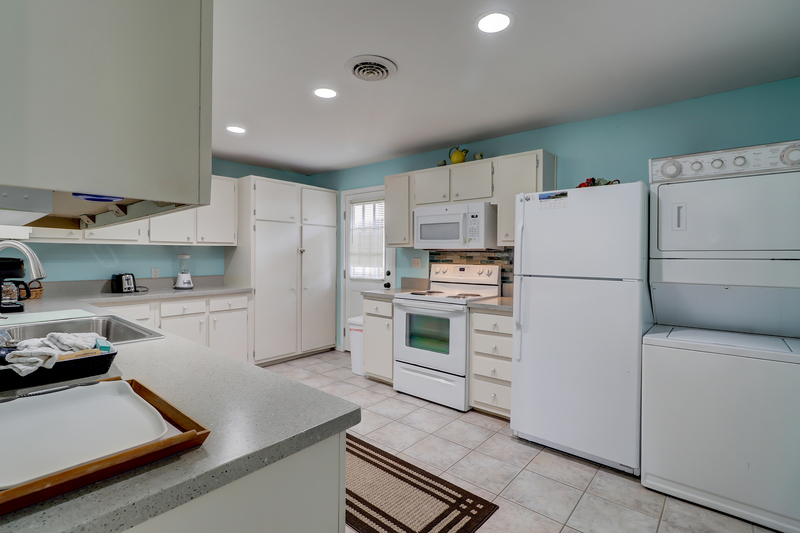 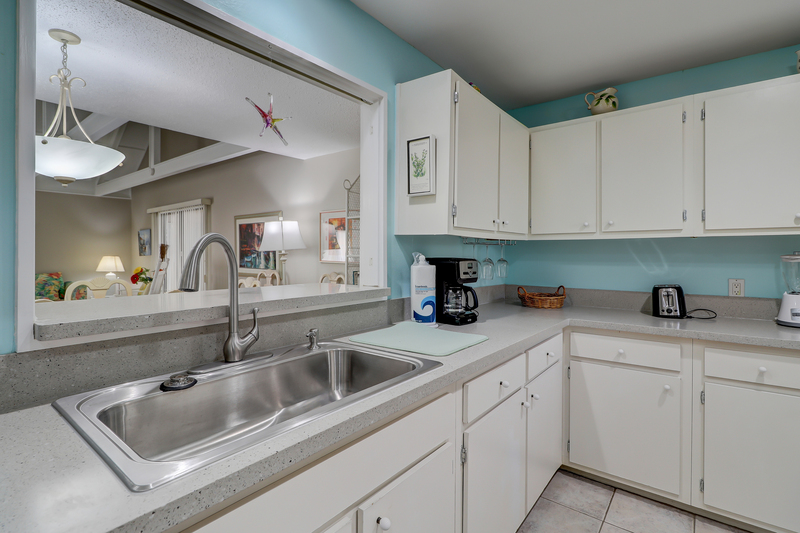 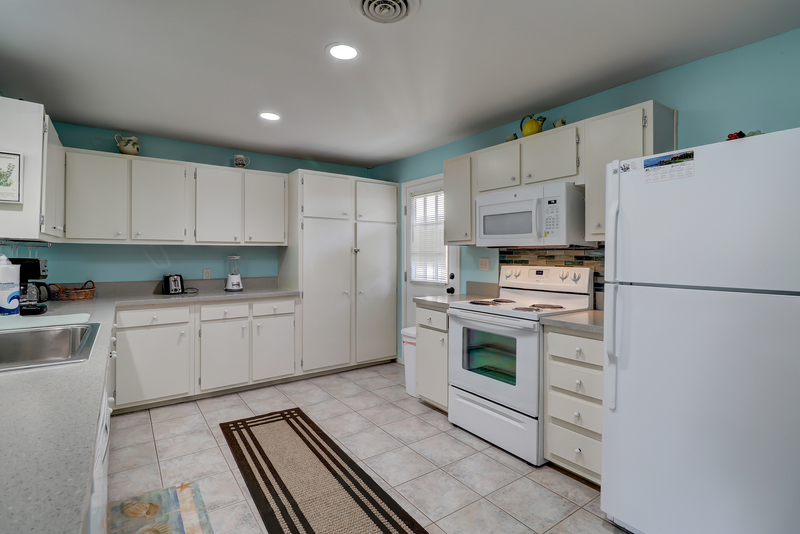 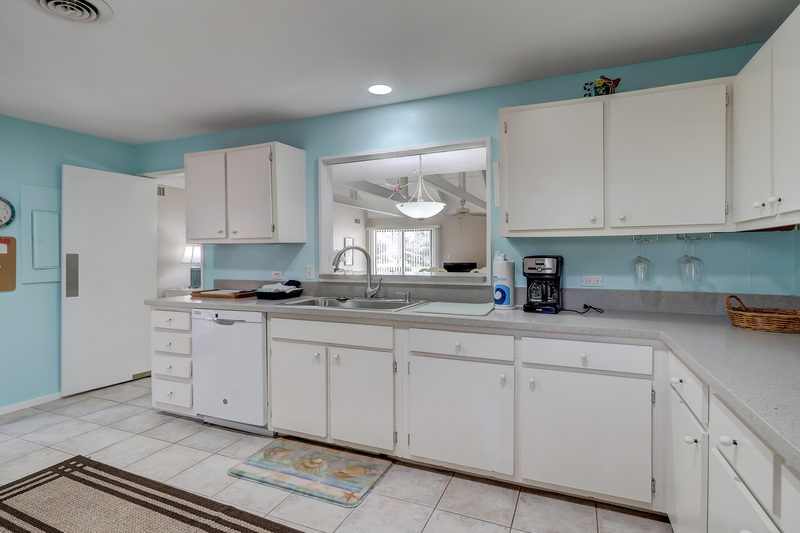 The kitchen is fully equipped and features a pass through to the dining area. 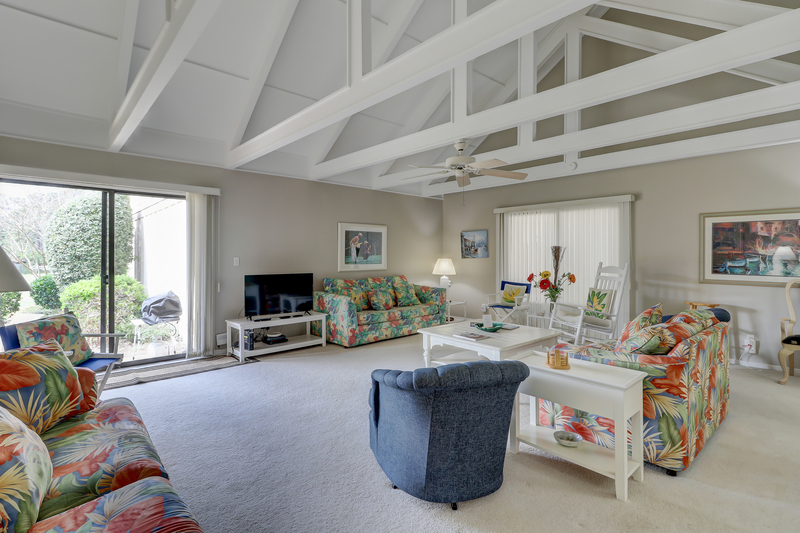 There are 2 sleeper sofas in the living area. 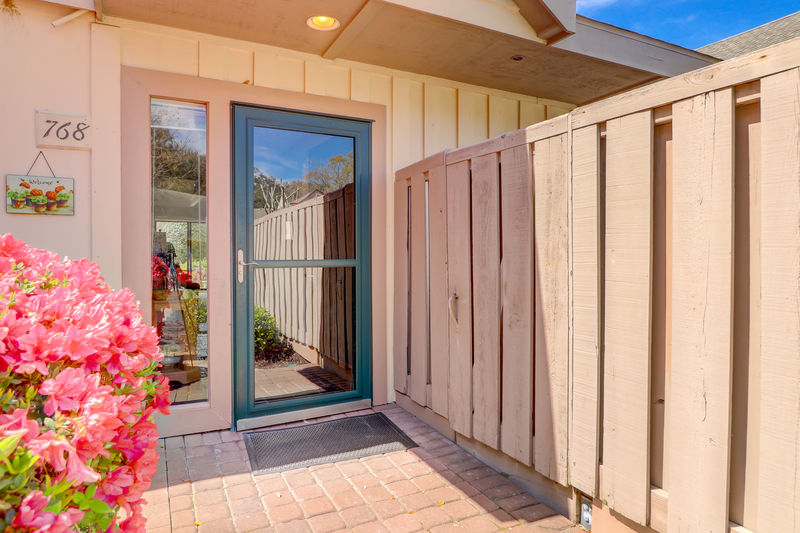 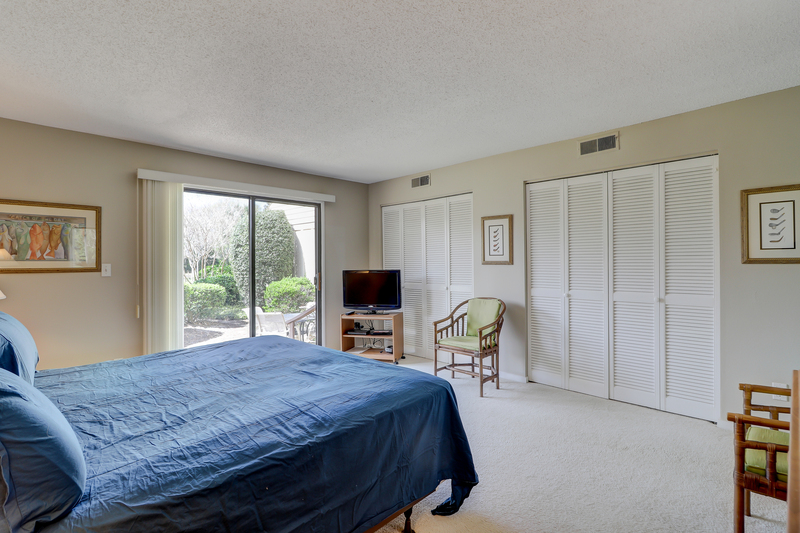 The sliding glass door leads from the living area to the back patio. 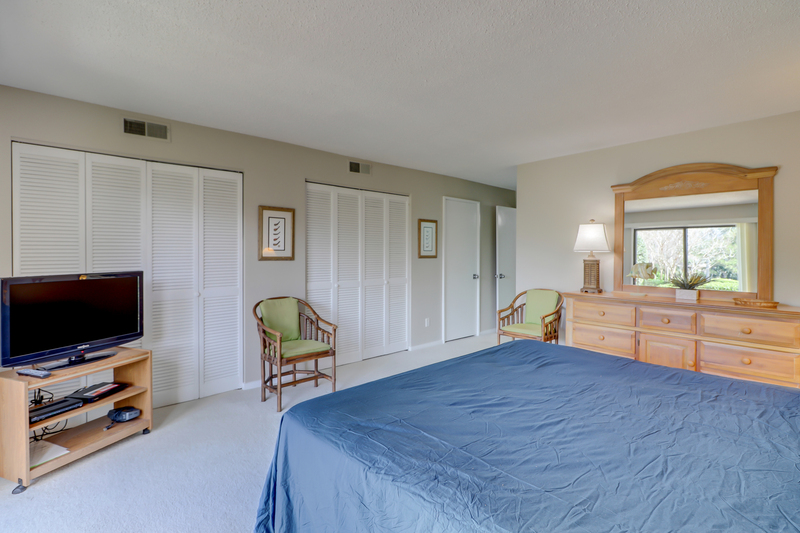 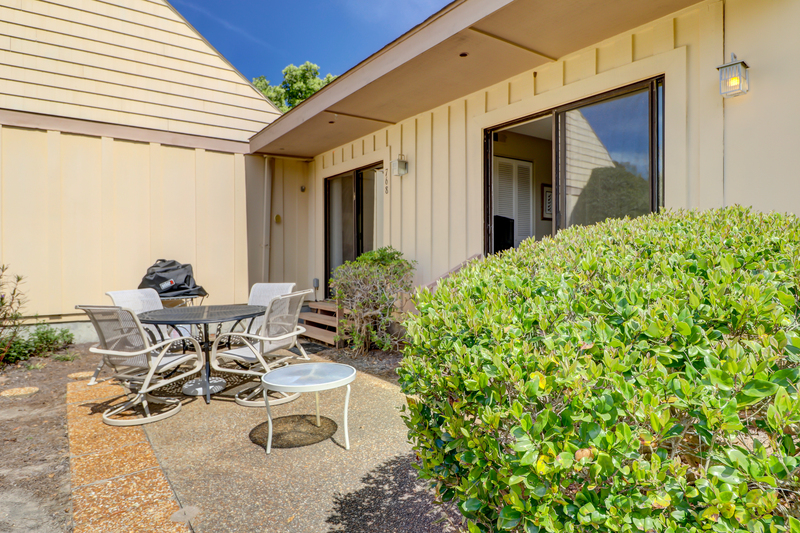 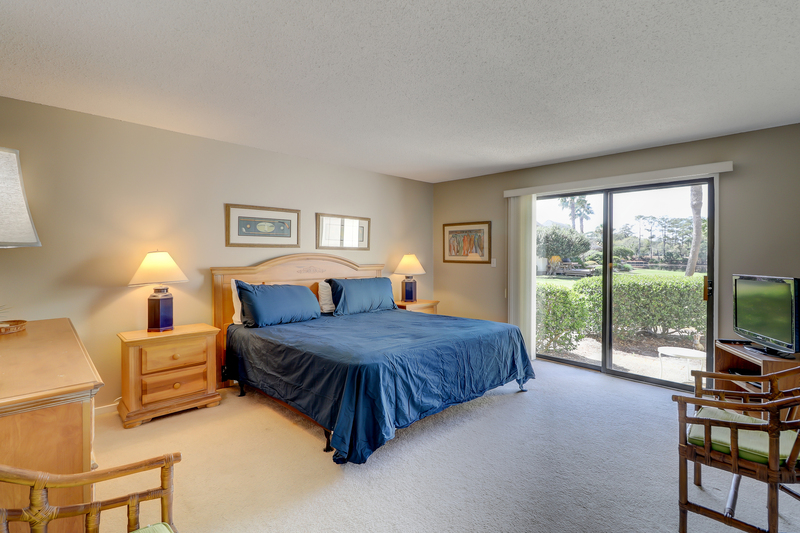 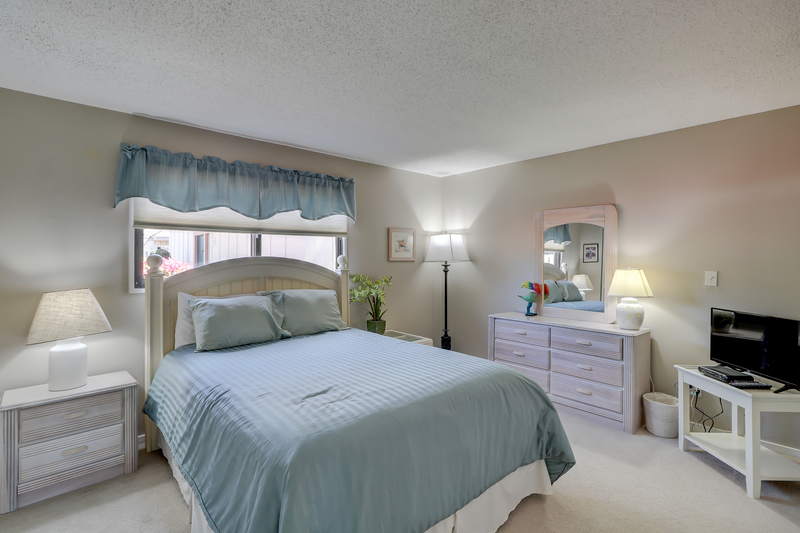 The master bedroom is furnished with a king bed, 32" flat screen TV and access to the deck. 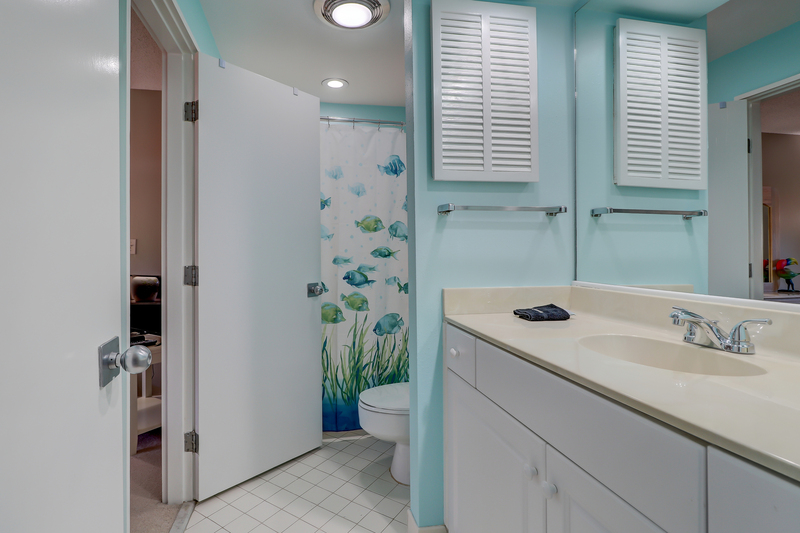 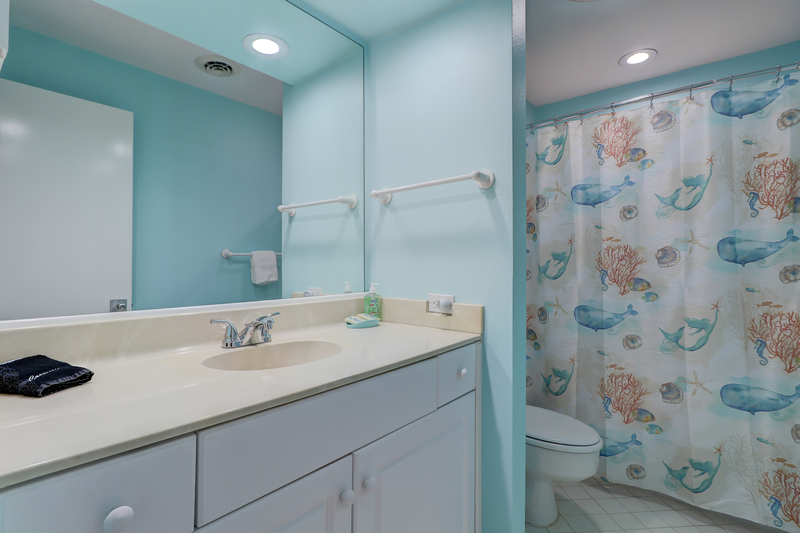 The private master bath has a tub/shower combination. 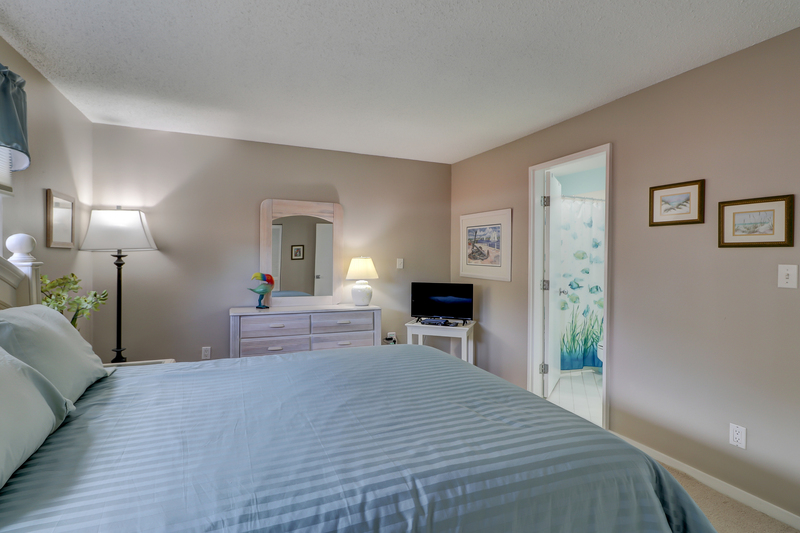 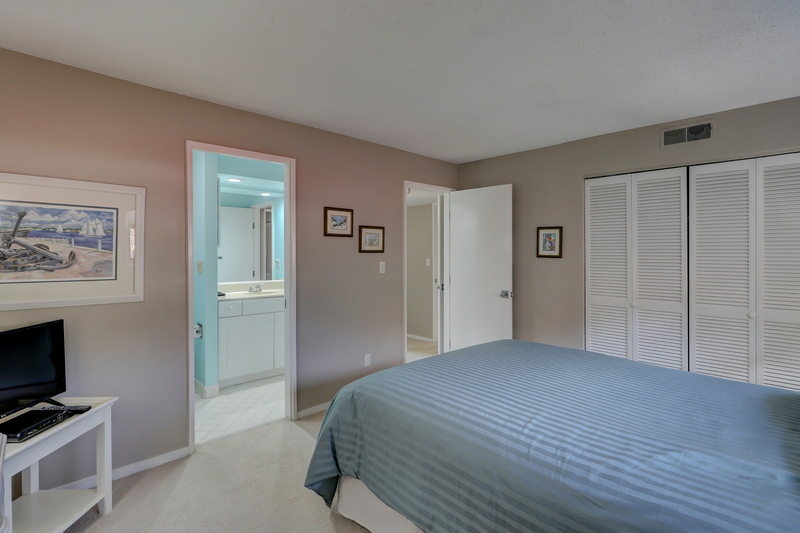 The guest bedroom has a queen bed and access to the hall bath. 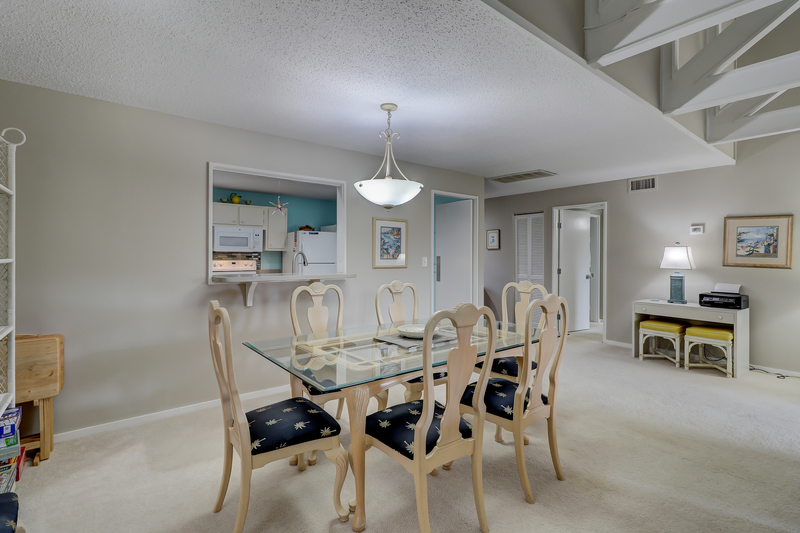 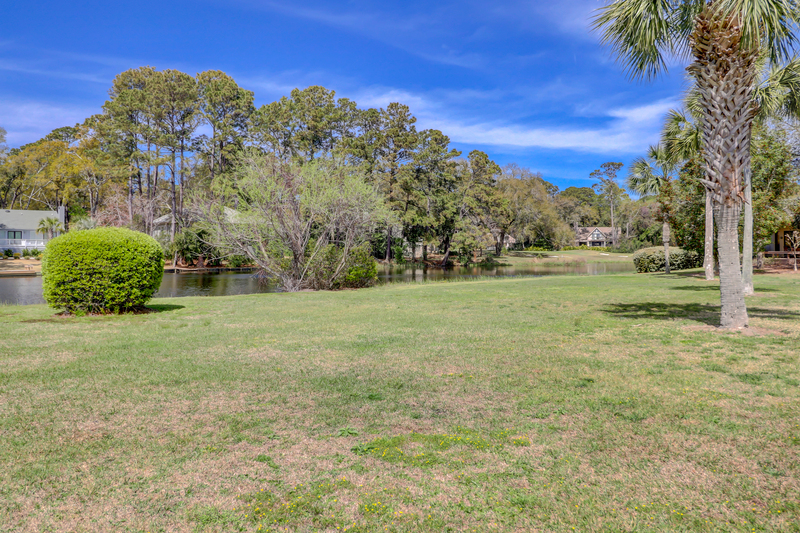 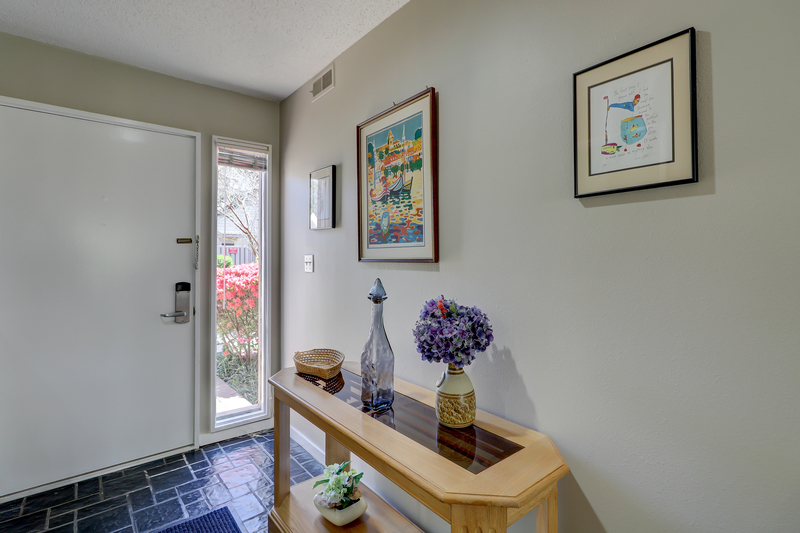 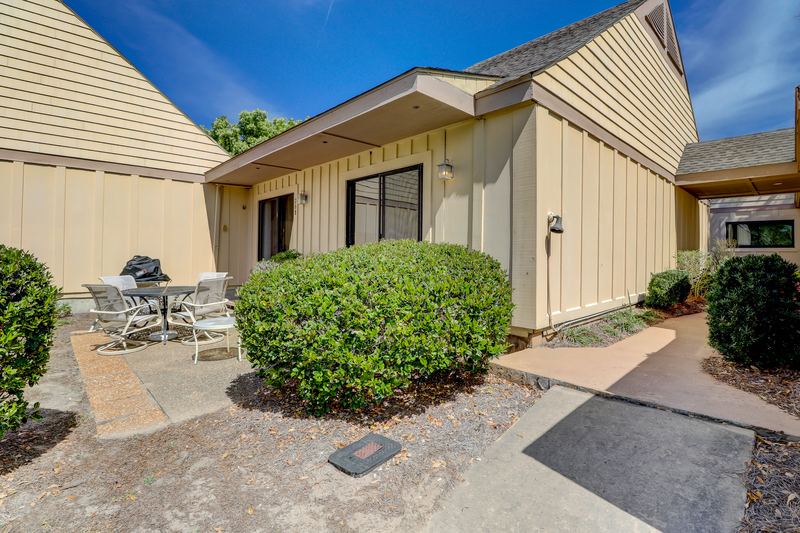 Queens Grant is nestled in Palmetto Dunes walking distance from the beach. 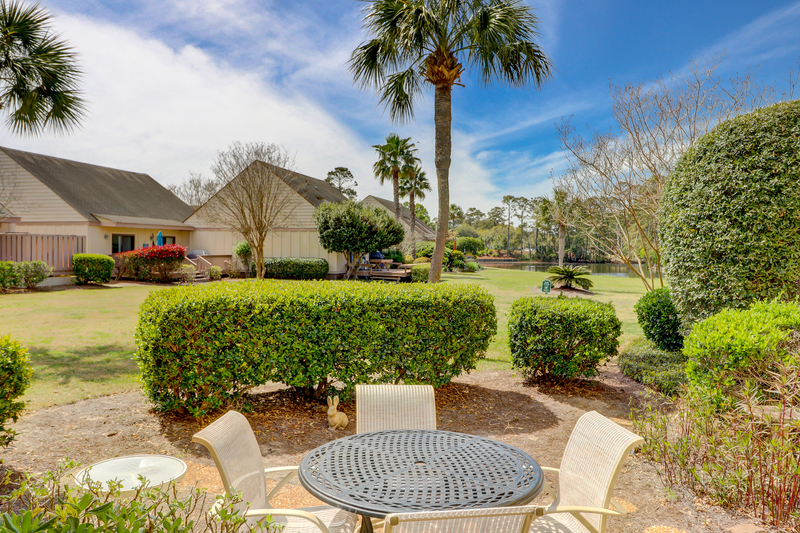 Enjoy three golf courses located within the plantation as well as conveniently located tennis courts and pool access. 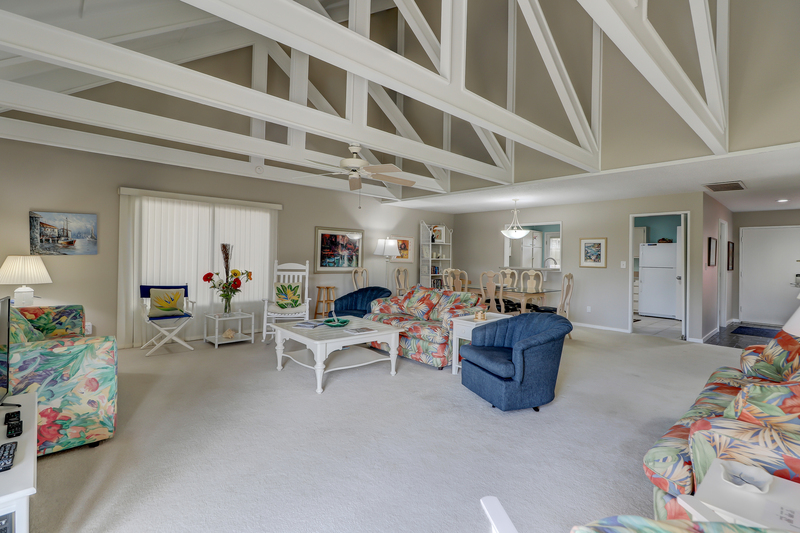 This villa is just a short distance from the Atlantic Ocean, Alexander's restaurant, and the general store. 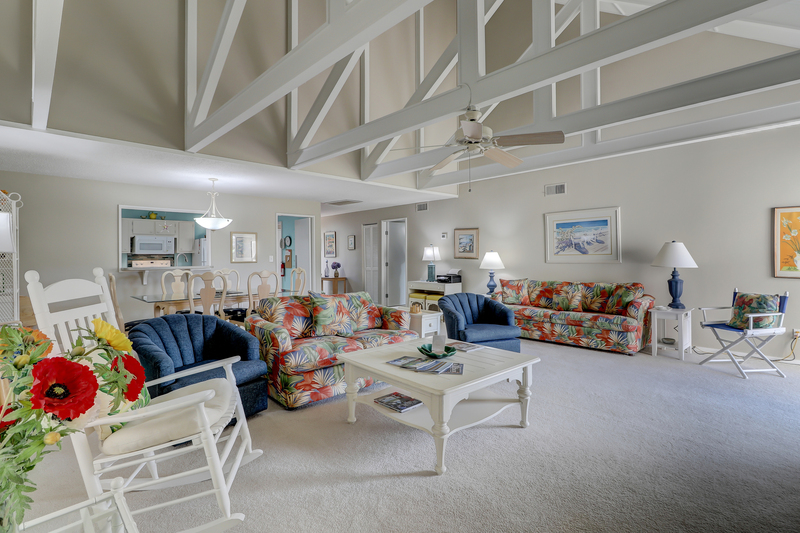 Guests can also take a short car ride to Shelter Cove for a plethora of shopping and dining options. 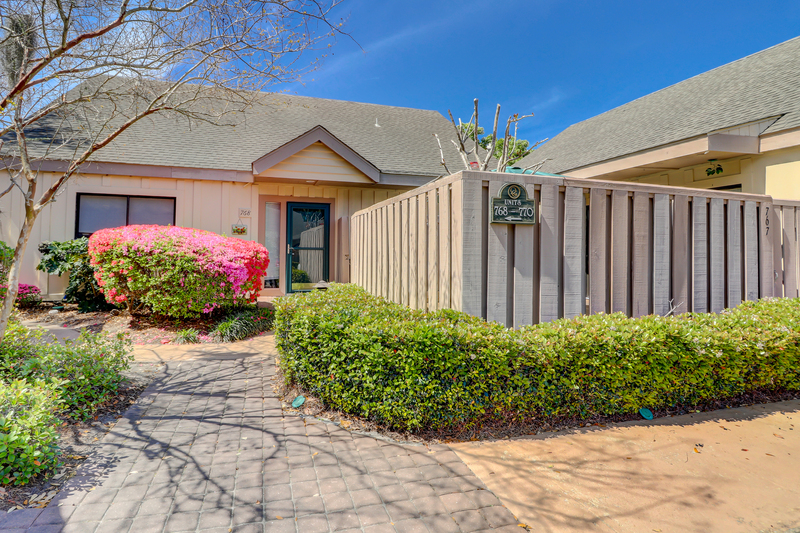 The active vacationer will also enjoy the many bike paths taking you through the plantation and beyond.